Size: 403 sq.ft. - 787 sq.ft. Shapoorji Pallonji to add a new large project at Mulund West near Nirmal Lifestyle. The project is spread on large acres of land area with good amount of open space so you can breathe some fresh air. 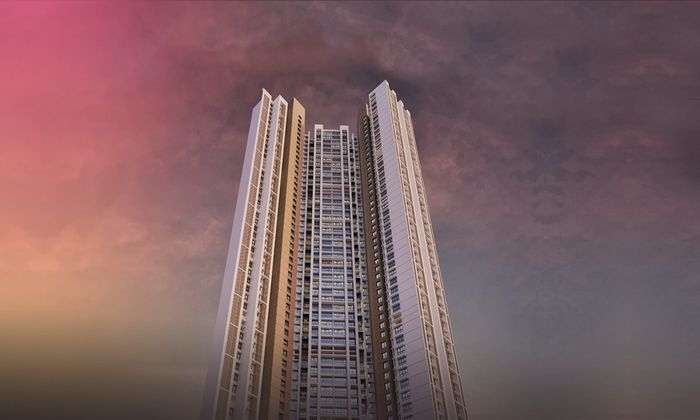 Shapoorji Pallonji Mulund is a luxurious residential infrastructure by SP Group, is offering lavishly crafted and exquisitely designed 1 to 3 BHK homes. Shapoorji Pallonji Mulund Grand Entrance, huge corridor, fast lifts, large walkways, excellent parking space, classic housekeeping services present this project as a special one in this area. SP Mulund is a dream home can be availed at inexpensive rates starting 75 lacs onwards. This project is also known as Codename Mumbai Dreams. Shapoorji Pallonji Group is coming up with the pre-launch development sited at Guru Gobind Singh Road, Mulund West, Mumbai. SP Mulund contains1 BHK & 2 BHK large sized apartments, the apartments offering a truly comfortable living experience. SP Mulund residential project is to be spanned over mega acres of land area.This project is masterly designed by keeping all the important aspects in mind. The inventory Shapoorji Pallonji of Mulund varies from 403 Sq.ft – 787 Sq. Ft. The project will have various tall towers compromising of 28+storeys. The project will have more than 4000 flats with private car parking space for each residence. Shapoorji Pallonji Mulund is located in the posh residential destination of Mumbai. SP Mulund is at the junction of Navi Mumbai and Thane. Mulund is a good residential area with well-developed infrastructure and connectivity. It is also known as Prince of Suburbs and several manufacturing companies including Hoechst and Johnson & Johnson are present here. The area has excellent connectivity to the Lal Bahadur Shastri Marg (LBS Marg). The Chhatrapati Shivaji International Airport is only 14 kilometers from Mulund West and the Chhatrapati Shivaji Maharaj Terminus is about 32 kilometers. The complete address of Shapoorji Pallonji is near Nirmal Lifestyle at LBS Marg, Mulund West, Mumbai. There are several amenities will be offered to residents of SP Mulund including amenities like Gym Facility, Garden Area, Swimming Pool, Water Storage Space, Club House, Power Backup System, Lift Space, Fire Fighting System, Security Personnel, Intercom Facility etc. Mall: - D Mart, R Mall, Nirmal Lifestyle Mall. Railway Station: - Mulund Railway Station, Nahur Railway Station. Hospitals: - Surya Eye Institute and Research Centre, ESIS Hospital, Aastha Health Care, Platinum Hospital, Vertex Hospital. Movie Theatres: - BIG Cinemas, Huma BIG Cinemas, Jawahar Cinemas. Police Station: -Ganatra Chowk Police Chowki, Mulund Police Station. Restaurants: - Woodland, Pizza Hut, Subway, Urban Tadka, Pop Tates Restaurant, Rajdhani, Sandeep Restaurant.